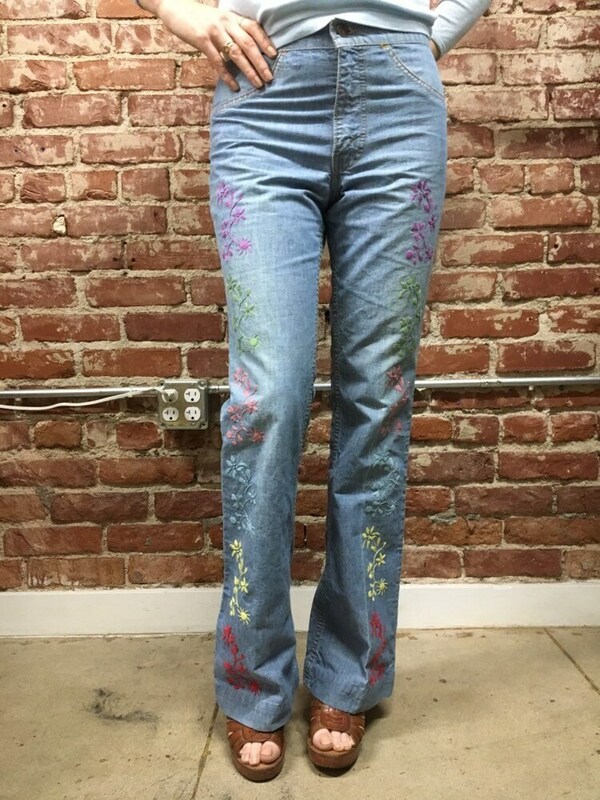 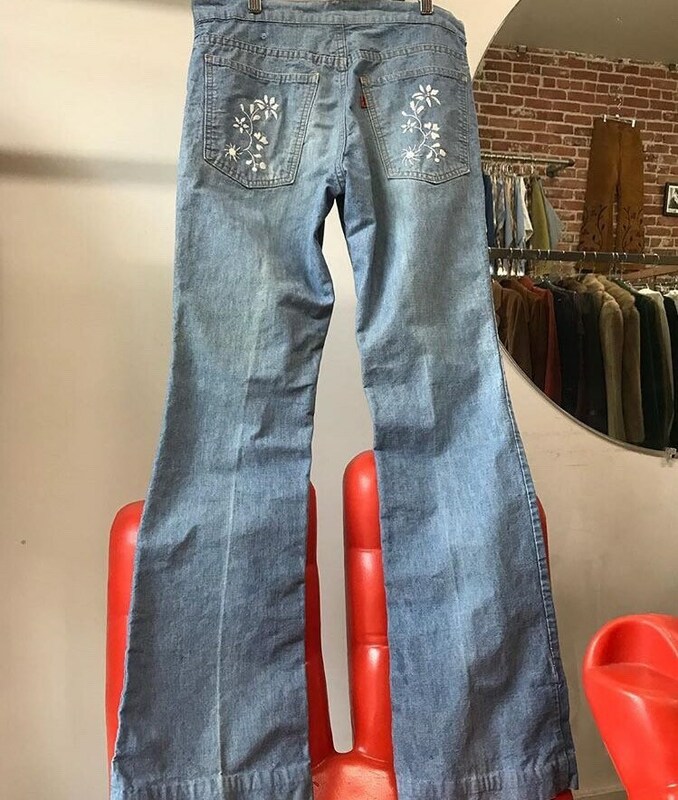 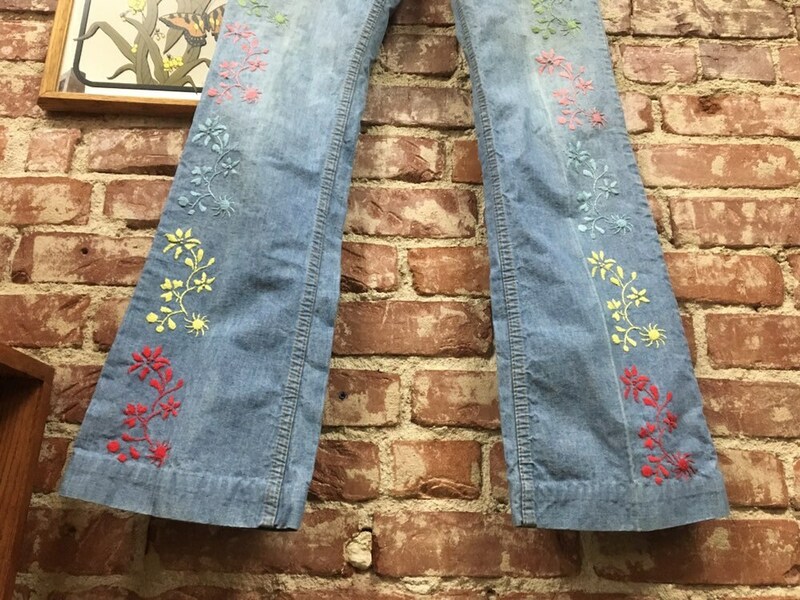 Fantastic seventies embroidered Levi’s flared jeans. 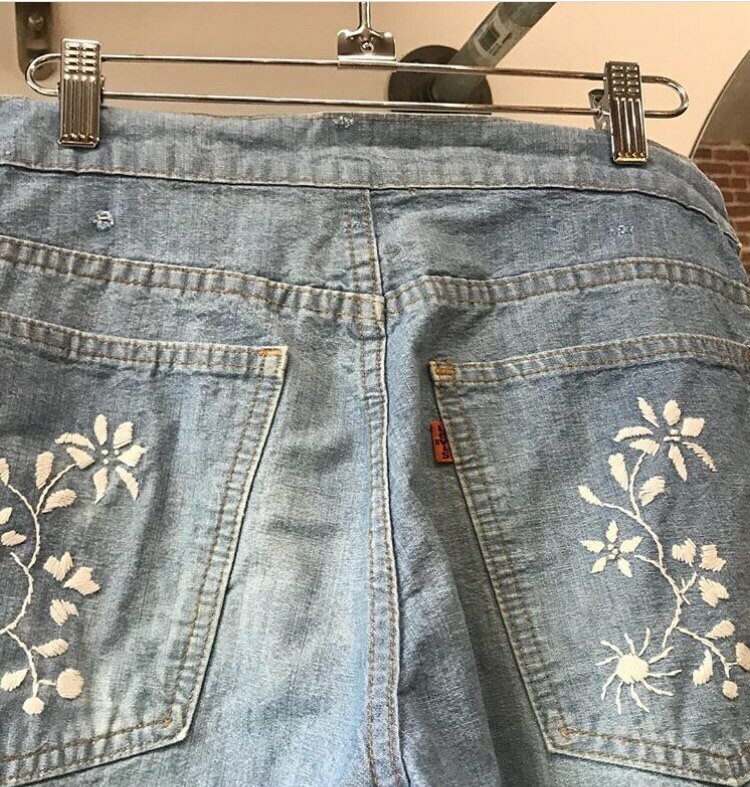 Note: the front pockets are only a design element. 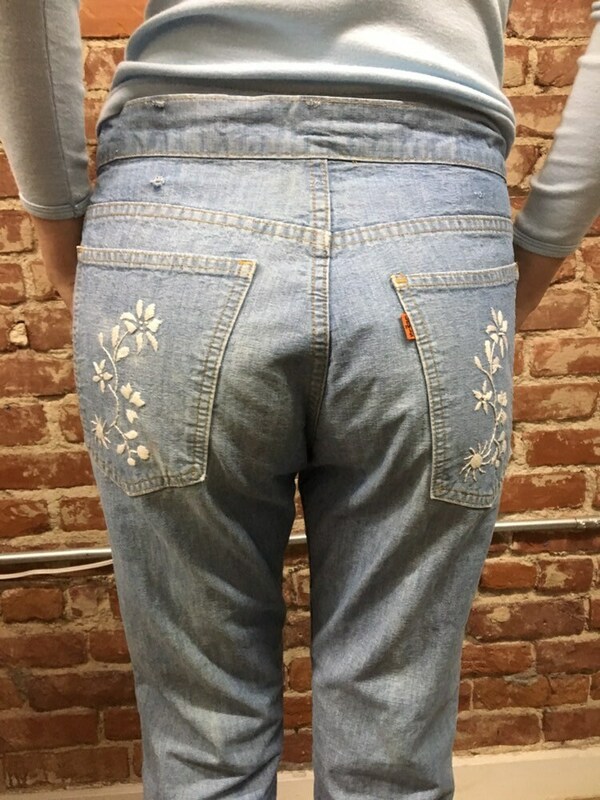 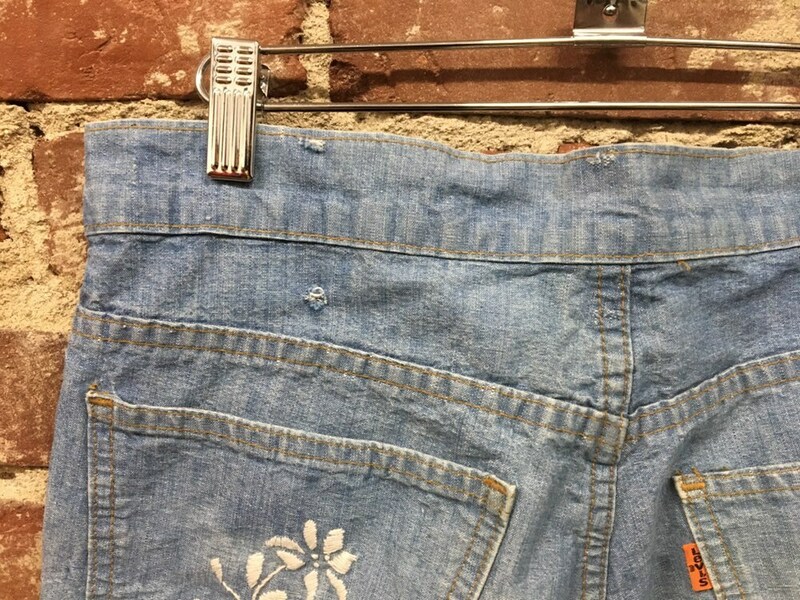 Whomever hand embroidered these jeans stitched through the back pockets. 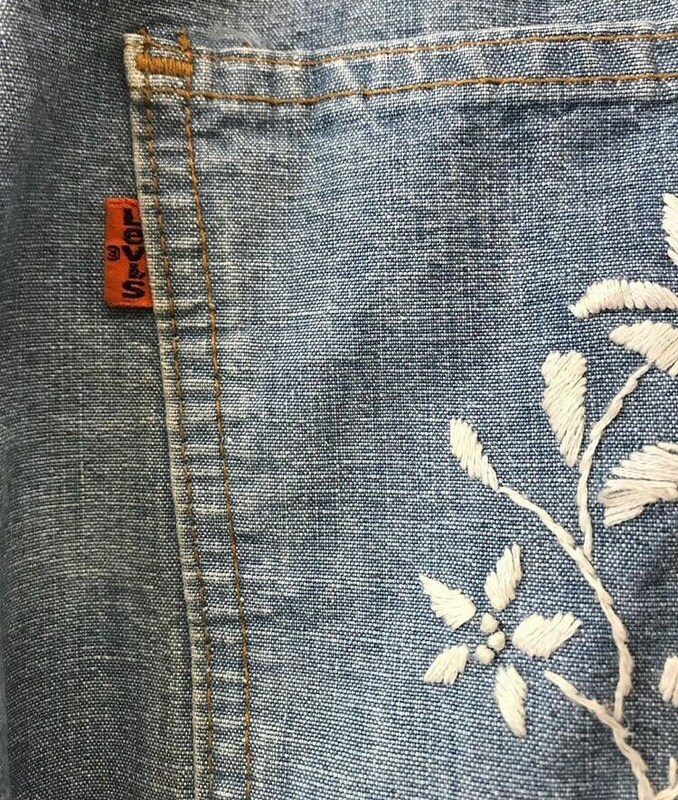 They will function only if you decide to cut through the embroidery on the inside of the back pockets. 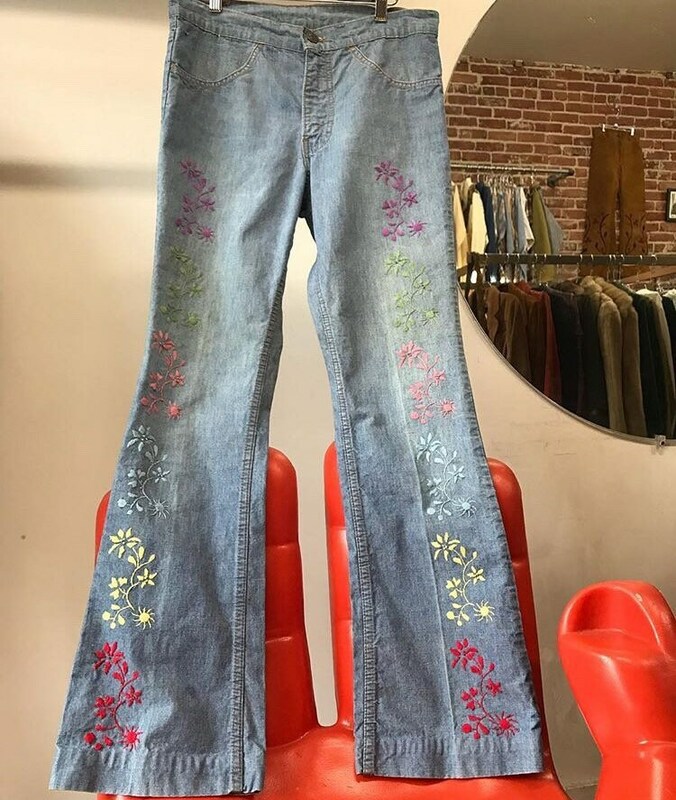 These are flowers running up the front of the legs and flowers on the back pockets. 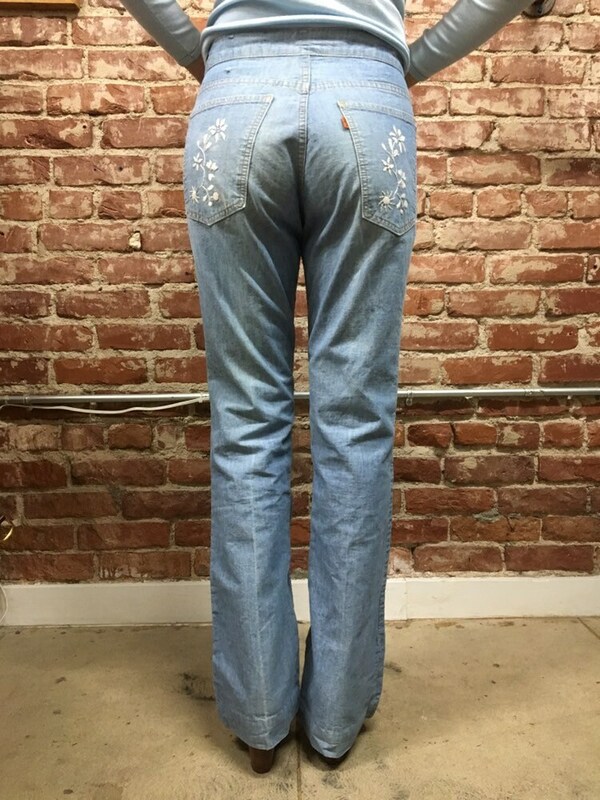 Made of a thin but rather sturdy denim. 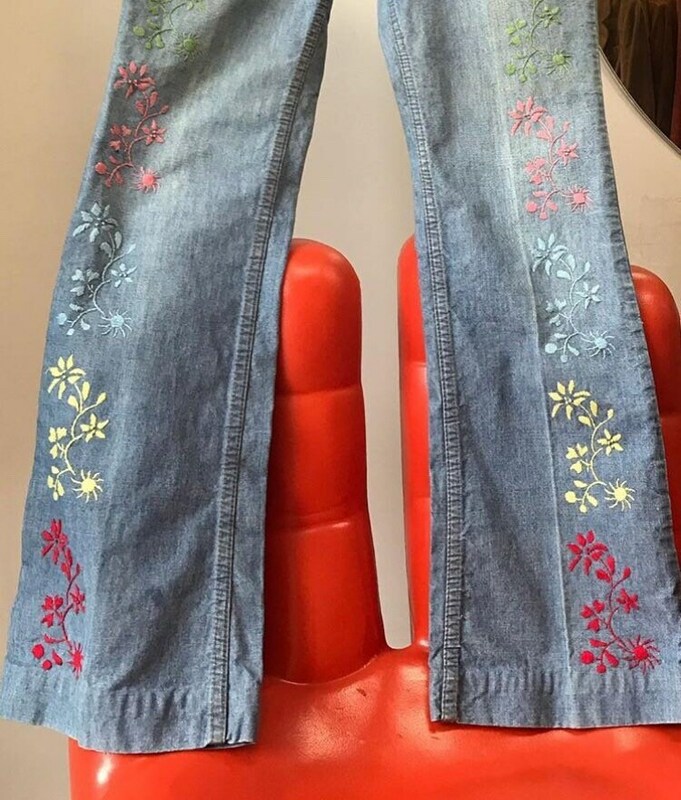 1.5” hem that can be taken down for a longer inseam.